Adolfy Hoisie, a Laboratory Fellow and Associate Division Director for High Performance Computing in the Computational Sciences & Mathematics Division at the Pacific Northwest National Laboratory, served as a guest co-editor for the November 2011 edition of Computer. 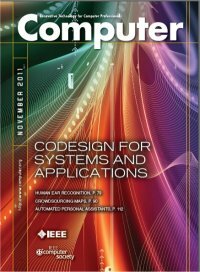 Computer is the flagship publication of IEEE, and publishes peer-reviewed technical content that covers all aspects of computer science, computer engineering, technology, and applications. The November 2011 issue titled "Co-design for Systems and Applications" also featured an article co-authored by Hoisie and PNNL colleagues Darren Kerbyson, Kevin Barker, and Abhinav Vishnu. Computer has a world-wide distribution of more than 120,000 in addition to its extended electronic dissemination. The date for the publication of this special issue was chosen to coincide with the annual Supercomputing conference, held in Seattle in November, where it was distributed to all the participants. Hoisie was also a co-editor of a special issue of IEEE's Computing in Science and Engineering on "Big Data" which was also published in November. November 2011 edition of Computer. November 2011 edition of CISE.